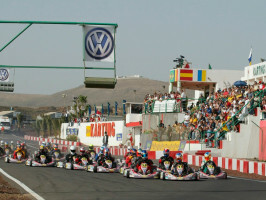 Gran Karting Club Lanzarote is the biggest track in Europe and the official world championship circuit. 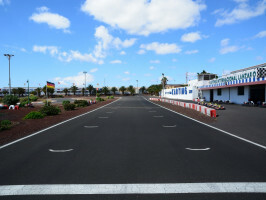 In its 2.3 km circuit you can live motor sport at its best at the wheel of a kart, managing to satisfy the demands of the most experienced pilots and discerning amateurs in our separate tracks for all ages. 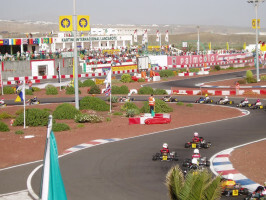 We offer an intense experience of unsurpassed pure adrenaline thanks to our powerful 270cc karts and tracks large differences by age for the whole family to enjoy. 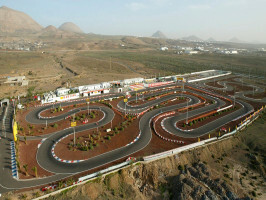 Our facilities over 80.000m2 offers a professional circuit approved by FIA, in Gran Karting security is guaranteed. 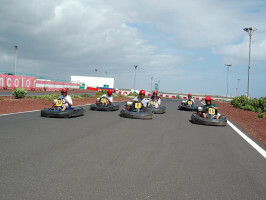 Please exchange your voucher at: Carretera LZ-2, Km 7 Puerto del Carmen, Tías 35572. Opening days/period: Open to the public every day from 10.00am to 9.00pm all year round. In case of emergency please call the emergency telephone number. (Languages spoken: Spanish, English).